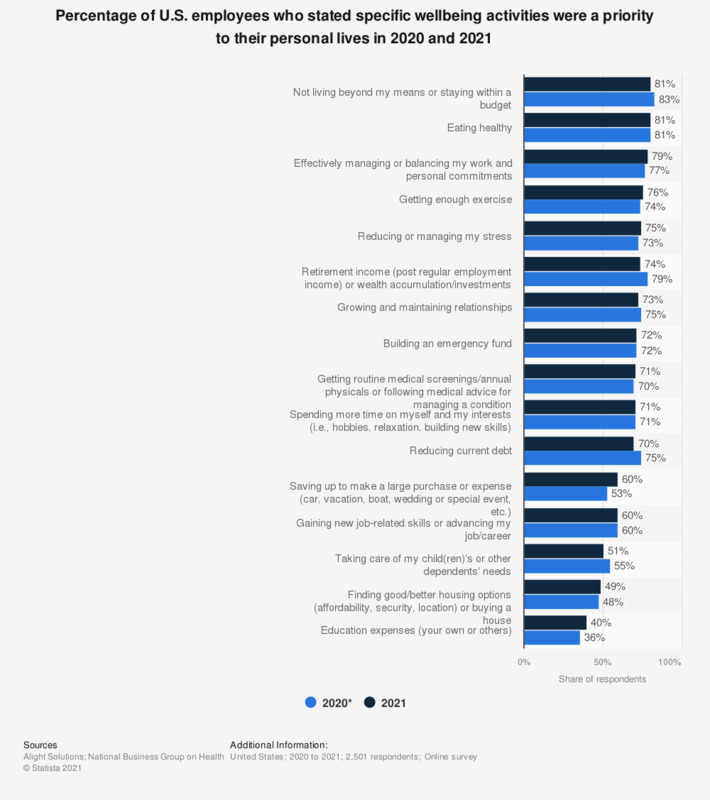 This survey shows the percentage of adults in the U.S. who stated select wellbeing activities were important to their personal lives from 2016 to 2018. In 2018, it was found that 73 percent of respondents stated getting enough sleep was important for their personal lives. Everything On "Sleep in the U.S." in One Document: Edited and Divided into Handy Chapters. Including Detailed References. Are you satisfied with your ability to balance the needs related to your work and those related to your private/family life? Are you satisfied with the way you divide your time between work and private/family life? Do your parents support your choices?